I am a huge fan of bad jokes, and my favourite would have to be the following: I spent all of last night trying to make a belt out of watches. It ended up being a complete waist of time. So when I walked up to Fat Penguin and saw ‘…enough to break the ice’ written on their sign, I was pretty sure I was going to like it here. 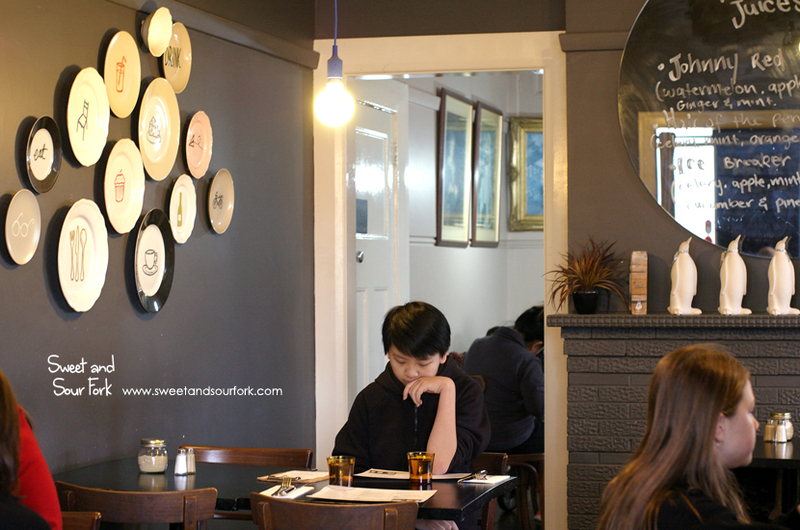 Located within a refurbished home, Fat Penguin is the quintessential neighbourhood cafe. The comfortable nooks and crannies play host to everyone from rowdy families to solitary diners, and a covered courtyard is the perfect spot for those who brunch with their four-legged companions. And during the week, the quaint cafe houses everything from cocktail parties to mothers’ groups; you name it, and they can probably cater for it. 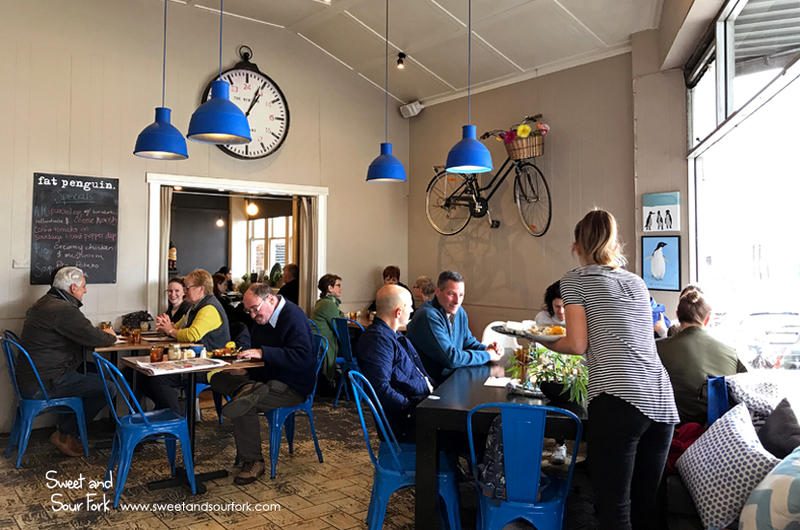 All the usual suspects are there on the drinks menu, and although my Skinny Flat White ($3.7) – beans from Where’s Marcel – was a bit one-dimensional, it packed a good punch, which was just what I needed after an early gym session. 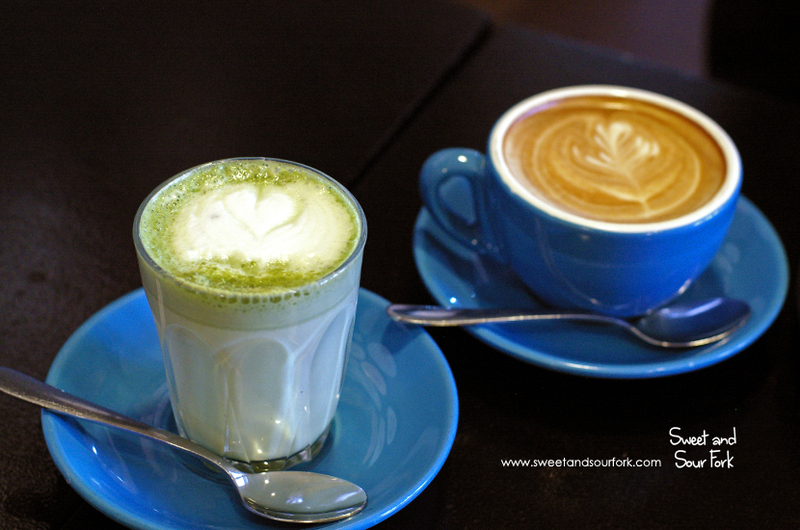 My sister’s Matcha Latte ($4.5) on the other hand erred towards blandness. Whilst we both agreed that whilst the drink was sweet and pleasant, it didn’t hold enough of that fresh grassiness characteristic of a good matcha beverage. I usually pass up the Benedict ($18.5) for more interesting choices, but this one was anything but dull. Instead of the usual, the rendition at Fat Penguin swaps ham hock for pulled pork, and toast for house-made potato hash. And whilst that may sound over the top, I can assure you it’s not. 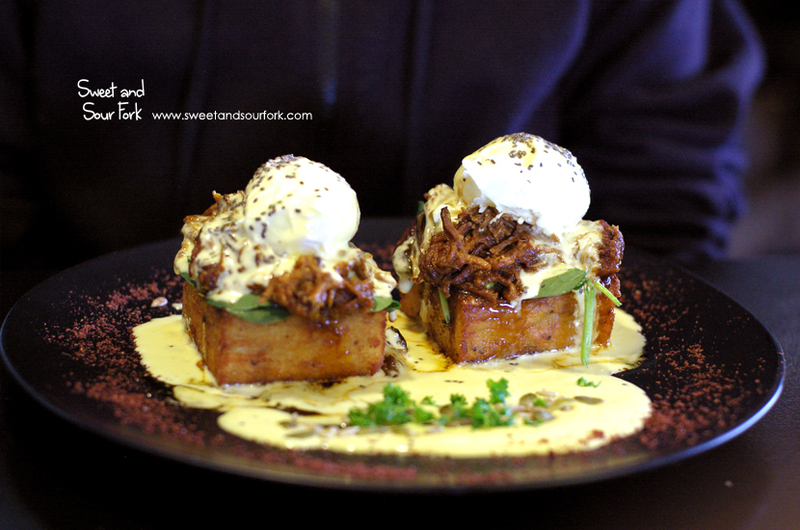 The firm, peppery potato patty brought out the fruity sweetness lingering in the pulled pork, and the hollandaise was creamy with a generous lemony tang that cut through the rich flavour profile. 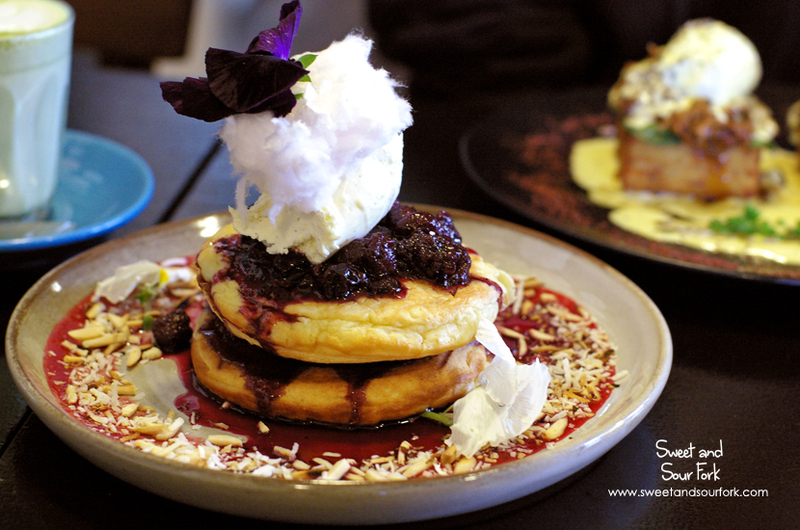 I see brunch as an excuse to order Buttermilk Pancakes ($17), and this one certainly satisfied my sweet tooth. 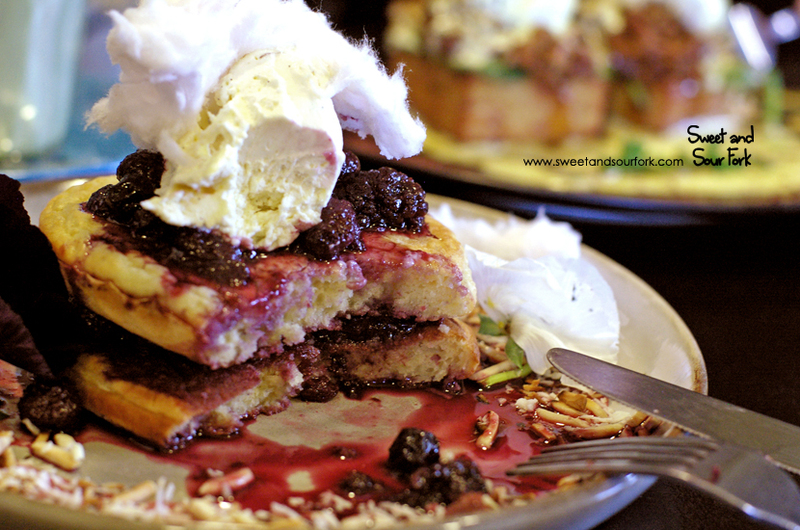 Although the pancakes themselves were on the plain and doughy side, their mildness was complemented well by the sugary berry coulis and crunchy toasted almonds. And my inner child simply loved the tuft of fairy floss garnished with edible flowers. Amongst a landscape dominated with exotic, ambitious cafes, Fat Penguin stands as a quiet achiever. 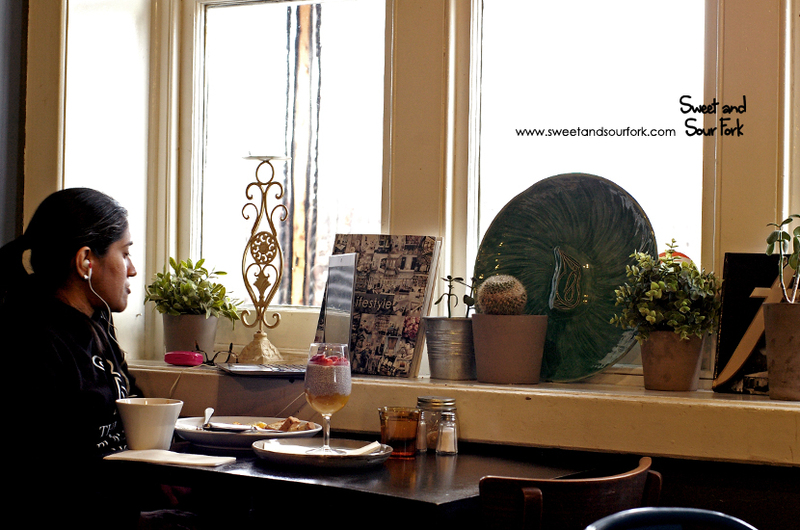 Its focus is on doing simple dishes well, and serving them up with genuine warmth and hospitality. It may not make talk of the town, but it’s one of those comfortable places that the locals will keep coming back to. Rating: 13/20 – fat and cuddly. Sweet and Sour Fork dined as a guest of Fat Penguin.